God doesn’t need to get in line with what we’re doing. We need to get in line with what he’s doing. When we don’t plan it, manage it or tie a neat bow on the end of it, most of us don’t notice it. We notice when another church is big, and we whine when our church is small. It’s time to pay attention to what God is doing in his church – and to discover our part in it. A couple times in my life I’ve spoken to a crowd of over 1,000 people. I can’t imagine the charge people get out of standing in front of tens of thousands of people who came specifically to hear what they have to say on a regular basis. I’m not saying that every megachurch pastor is an egotist. The truth is, I know some small church pastors whose egos could be a float in the Macy’s parade. But, let’s not pretend that crowds don’t have a tendency to stroke our ego. This is one of the reasons I have great admiration for megachurch pastors who are able to keep a humble spirit. Not all of them are able to handle it. I don’t know if I could. Big things get noticed. Small things get missed. And we all want to be noticed, don’t we? The New Testament writers could not have been more clear about this. But too often we’ve defined the church as a building. Even if we know better theologically, that’s what we do in practice. When the church is too closely linked to the building, church growth means more people in the building. Or buying more land to build bigger buildings. 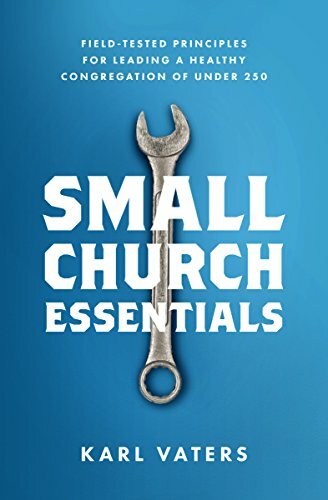 But when we really get the idea that healthy churches can happen with as few as 2 or 3 of us, we can see that church growth includes the multiplication of groups of 2-3, 20-30 or 200-300. And yes, 2,000-3,000 and 20,000-30,000. Jesus was fine with 2 or 3. We need to stop belittling churches with 10 to 100 times that many people. Copyright © 2016 by the author or Christianity Today. Click here to read our guidelines concerning reprint permissions.